Office Of VA Secretary Accused Of Doctoring Email And Lying So Public Paid For His Wife's 10-Day Europe Trip - Joe.My.God. 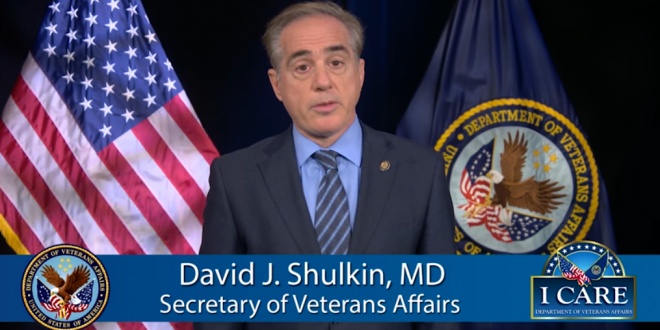 Vivieca Wright Simpson, VA’s third-most senior official, altered language in an email from an aide coordinating the trip to make it appear that Shulkin was receiving an award from the Danish government — then used the award to justify paying for his wife’s travel, Inspector General Michael J. Missal said in a report released Wednesday. VA paid more than $4,300 for her airfare. The account of how the government paid travel expenses for the secretary’s wife is one finding in an unsparing investigation that concluded that Shulkin and his staff misled agency ethics officials and the public about key details of the trip. Shulkin also improperly accepted a gift of tickets to a Wimbledon tennis match worth thousands of dollars, the investigation found, and directed an aide coordinating the trip to act as what the report called a “personal travel concierge” to him and his wife.